The last 48 hours has included a blizzard of college players signing contracts. Some were drafted the age-old way, as fresh-faced 18-year-olds. Others signed as free agents. Which do you think got the better contract? Sometimes it pays, literally, to not get drafted. College players that were not selected during the years they were eligible for the Entry Draft don’t have the certainty of a team at the end of their college career. That’s the downside of not getting selected on Draft day. However, a select few will have the luxury of potentially signing a more lucrative contract than their drafted peers as unrestricted free agents. Coming up after the jump, a look at college free agency and why NHL teams might be able to save some money (and competition) going after some second-year eligible players from the NCAA in the 2012 NHL Entry Draft. Also, some notes on USHL scoring sensation Kevin Roy and a brief bit on the World Under-18 Championship. The battle for college free agents is red hot right now and should remain that way for a few weeks yet. The most coveted college free agents will be offered the max entry level contract, which would afford them the same base salary as players like Gabriel Landeskog and Ryan Nugent-Hopkins. That allows the free agents to make more money than some of their drafted peers in their first professional contract. For instance, Torey Krug just signed an NHL Entry Level deal with the Boston Bruins over the weekend. The NHL’s collective bargaining agreement allows college free agents to sign for the maximum entry level compensation of that year. That means Krug, a 1991 birthdate, has a higher NHL base salary than players selected in what would have been his draft year. Should Krug play in the NHL next season, he would receive a base of $925,000. If Kyle Palmieri, who is the same age as Krug and was selected by Anaheim in the first round in 2009, plays in the NHL in 2012-13, he’ll make a base of $900,000. Krug’s contract, incentives included (according to CapGeek), has the same exact value as Palmieri’s. Remember, we’re talking a player that was never even selected in the NHL Draft against a player that was taken in the first round. The difference between Krug and Palmieri is that Krug could have signed with anyone. He had many teams interested, which is why Boston offered Krug the max contract. Krug even gets to burn the first year of that contract as the NHL season wraps up. He might not even get in a game, but this year will count. That means Krug will be a restricted free agent in 2014. So there are advantages to being a college free agent, but NHL teams might be able to avoid that process all together with a few players. Instead of waiting around for the following collegians to become free agents, NHL teams can get ahead of the game and snap up these second-year eligible players that shone bright in their freshman seasons. Austin Czarnik — Miami — After a strong, but somewhat underwhelming season in the USHL last year, Czarnik was passed over as a late 1992 birth year in his first year of eligibility. Concerns about size likely played a role as Czarnik stands a t 5-8, 140. However, size didn’t prevent Czarnik from earning a spot on the U.S. World Junior entry. Size also didn’t prevent Czarnik from having a stellar freshman campaign at Miami University. The freshman forward finished second on the team with 37 points including 27 assists. Czarnik was a big part of Miami’s dramatic three-goal comeback against UMass-Lowell at the NCAA tournament. He scored the second goal for the RedHawks when he blocked a shot, collected the puck, split the D with explosive speed and beat the goaltender dekeing to his backhand. That play was a perfect example of what Czarnik is capable of on a nightly basis. His lightning speed and tremendous puck skills make him tough to match up against. He doesn’t avoid defensive responsibility, though it isn’t necessarily the strongest part of his game. Czarnik is smart on the ice and often makes good decisions. He has good vision and knows how to find the seams. At the World Juniors, and during his freshman year, Czarnik showed the ability to play bigger than he is. He’s not afraid to go in the corners and even throw what little weight he has around. He uses his body effectively to separate much bigger players from the puck. With smaller players like Kyle Rau and Johnny Gaudreau earning selections last year, there should be a team that’s willing to take a chance on Czarnik. If not, some team will just end up paying more later when he’s a college free agent. Shayne Gostisbehere — Union — When I first heard about Gostisbehere, I thought the person that messaged me had a really weird auto-correct. That couldn’t be a real name, right? It is. It’s actually pronounced GOST-iss-bear, for your information. A junior scout who saw him play at South Kent school last year tipped me off about this 5-11, 160-pound defenseman right before the NCAA tournament, admonishing me to watch what he can do. Needless to say, I came away very impressed with the offensive abilities of this slightly undersized defenseman. Gostisbehere has offensive chops for sure. He posted 22 points this year from the blue line including 17 assists and saw some serious minutes in helping Union make its first Frozen Four in school history. The 1993-born defenseman was strong at South Kent, as well, posting 36 points in 31 games, but no one took a chance on the kid in the 2011 NHL Entry Draft. He wasn’t really on many radars, but his play this season as a freshman on one of the best teams in college hockey should put him on a few now. Gostisbehere has a lot of poise with the puck and is smooth on his skates. He’s smart about when to jump into the rush and when to hang back. Gostisbehere showed some really nice vision and a great first pass out of the zone, sometimes leading the transition game. Despite his measurements, he doesn’t look all that small out there. He seemed to be able to handle himself well in the defensive zone and certainly carries his load as part of one of the stingiest defenses in the country. After the Bruins locked up a guy like Torey Krug, some teams might have to consider taking a late-round stab at Gostisbehere, as he looks like he’s growing into the type of player that can play at the next level. If he doesn’t get picked up, there’s going to eventually be a fight for his services. 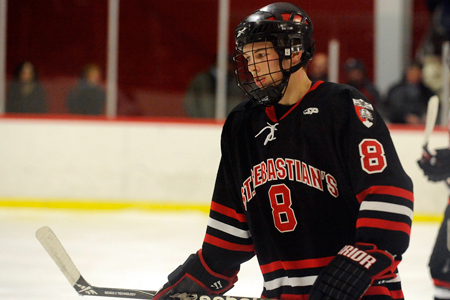 Union might not be known as a pro-producing school, but Gostisbehere looks like he’s worth a long look. Joey LaLeggia — Denver — OK, so LaLeggia isn’t American, but he’s been passed over in two NHL Drafts now, and it would be an atrocity if he goes unselected in a third. Only two defensemen — including fellow B.C. native Justin Schultz, widely consisdered the best pro prospect in college hockey this year — had more points than LaLeggia among defenseman this season. LaLeggia was a huge factor in Denver’s high-powered offense, as he put up 38 points including 11 goals and 27 assists. He’s also just one year removed from a 20-goal, 82-point campaign in the BCHL, so he has a bit of a track record. Coming in at 5-10, 180, LaLeggia doesn’t have great size, but he has terrific offensive instincts and all of the tools you come to expect from a high-end offensive defenseman. Perhaps scouts were skeptical about his BCHL game translating to college, but it absolutely did. LaLeggia can play. He put up extremely similar numbers to Krug, only LaLeggia did it as a 20-year-old freshman, whereas Krug had three years of college experience at the same age. He’s another guy teams are just going to try and sign later if he doesn’t get picked up in the draft, assuming he continues to produce like this. There’s no reason to expect he won’t. While each of these players are a bit undersized for their positions, each showed the ability to produce against bigger, stronger competition and each possesses a pretty fair upside to their games. As we’ve heard many times, this draft gets weaker in the late rounds, opening the door for NHL teams to dip back into players they skipped last time around. These three seem like prime candidates to be among those that get a second look. The USHL regular season is beginning to wind down, but not before a few fireworks. Again, this isn’t an American Prospect, but since he’s taken up residence in the United States Hockey League, he’s absolutely a guy you should know. As it turns out, Roy is still wicked good, kehd. Now 18, Roy is lighting up the USHL in his rookie season with the Lincoln Stars. The Lac Beauport, Quebec native is leading the league with 90 points in 53 games. He is just three goals shy of eclipsing 50. Should Roy reach 50, he’d be the first USHL player to get to that magical mark since 1993-94, when Mark Mowers and Jason Blake scored 51 and 50 respectively. With seven games to go and Roy currently riding a seven-game goal streak, the Quebecois should be able to make it happen. He’s also two points shy of tying the record set by Blake Coleman last season for the most points scored in the USHL since it became a Tier 1 league. This type of production is otherworldly when it comes to the USHL. This league is incredibly difficult to score in, particularly for younger players. There are a lot of older teams in the USHL, that carry 19- and 20-year-olds riding out their last years of junior hockey. The gap in strength and experience can be immense. That’s what makes Roy’s success so remarkable. He’s not only dominating, he’s dominating at age 18. Blake Coleman set his points record at age 20. Roy is 14 points away from the next closest player (Daniil Tarasov) in the USHL scoring race. He’s scored 25 percent of his team’s goals this year, and has 42 more points than his next closest teammate. It’s just bananas, you guys. Roy is expected to be a mid-round selection in his second year of draft eligibility. There might be a few NHL teams that are leery of Roy as he is a bit undersized at 5-10, 170. Also, the rookie forward is slated to go to Brown next year, not a school known for producing NHL talent. Patrick Roy attempted to lure Kevin (no relation, by the way) to play for the Quebec Remparts in the QMJHL this season, but the youngster declined. Brown might have to worry about losing its blue-chip recruit if the team that selects Roy wants him to play Major Junior. There are plenty of teams that would be content to let Roy go to college, but it’s never a sure thing. Should be interesting to see how that plays out, as Roy is clearly a game-changing talent. One of the biggest scouting events of the year is only a few weeks away now. The U.S. entry for this event is typically made up of players from the National Team Development Program with a few outside players thrown into the mix. The U.S. National Under-18 Team has wrapped up the USHL portion of its schedule, so the sole focus now is preparing for the tournament. 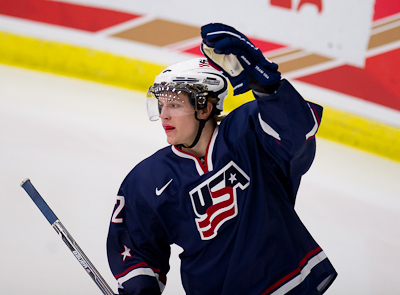 Team USA will be looking for its unprecedented fourth consecutive gold medal at the U18 Worlds. 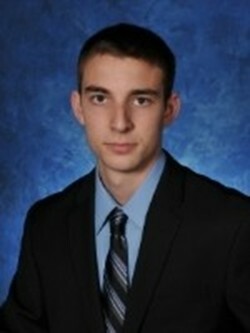 One of the non-NTDP players that is looking like a lock to go to Worlds is Danny O’Regan. The small centerman from St. Sebastian’s School appeared in the U18 Team’s final seven games of the USHL season, posting five points (3g-2a). Central Scouting ranked O’Regan 112th in its mid-term rankings, and a good showing at the U18 Worlds could lead to a rise up the charts. O’Regan was dynamic at the Prep level, but has shown that his game is not limited at all against older, stronger competition. O’Regan is a deft playmaker, who is really smart with the puck. While he doesn’t have much of a physical game, O’Regan gets where he needs to be and is able to find the soft areas of the ice. He’s also good at creating time and space for himself. On a team that has been challenged to score goals, O’Regan can get pucks to the net and skated with two gifted scorers in Nic Kerdiles and Ryan Hartman when I saw the U18s play at Dubuque. Could be a formidable line in the Czech Republic. Coming up in next week’s American Prospect Update, a complete World Under-18 Championship preview, with thoughts on the roster and Team USA’s competition. This entry was posted in American Prospects, Junior Hockey, NCAA, NHL, NHL Draft, NTDP, U.S. National Teams, World U18 Championship. Bookmark the permalink. I’m obviously a homer, but it’s been an absolute blast watching Kevin Roy play for the Lincoln Stars (USHL) this season. Great vision, and even better hands. It will be interesting to see where he lands next season. Lots of rumors floating around with other colleges coming after him (his Brown commit is only a verbal), and then of course the QMJHL rumors. Like you stated, Chris….Roy is putting up numbers the USHL hasn’t seen in a long time. He deserves the recognition, and I hope to see him drafted by a NHL team this Spring.